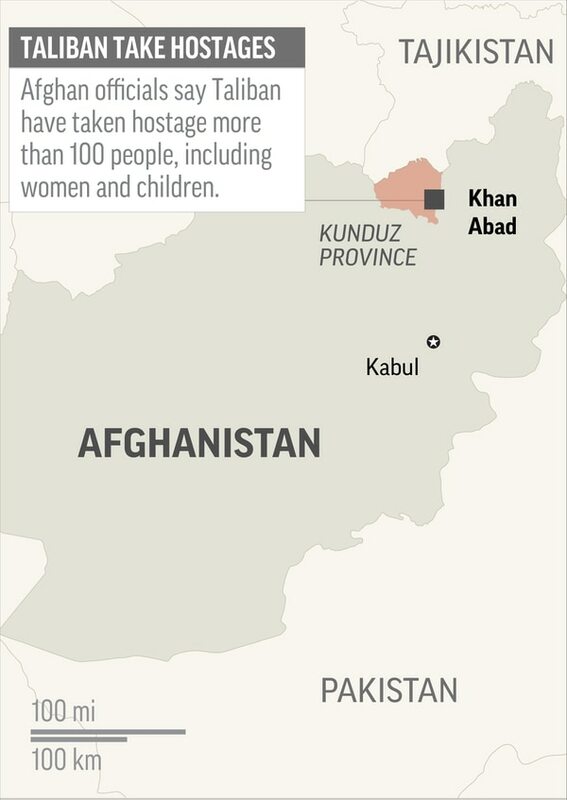 KABUL, Afghanistan — Afghan forces rescued nearly 150 people Monday, including women and children, hours after the Taliban ambushed a convoy of buses and abducted them. The quick response marked a rare if limited battlefield success for the troops after weeks of unrelenting insurgent attacks. The militants escaped with 21 captives following the battle in Kunduz province, and officials said tribal elders were trying to negotiate their release. Esmatullah Muradi, a spokesman for the governor in the northern province, said the Taliban have demanded the national identifications of the captives to determine their fate. The identities of the captives have not been made public, but Mohammad Yusouf Ayubi, the head of the provincial council, said the insurgents likely targeted the three buses to try to abduct civil servants or members of the security forces. The Taliban have been at war with the U.S.-backed Afghan government for nearly 17 years, and have stepped up attacks in recent years, seizing rural districts and carrying out major assaults against security forces and government compounds on an almost daily basis. Earlier this month, the insurgents launched a coordinated assault on Ghazni, a strategic city only 120 kilometers (75 miles) from the capital, Kabul. They seized several neighborhoods, and it took security forces, aided by U.S. airstrikes and advisers, more than five days to drive them out. The battle for the city killed at least 100 security forces and 35 civilians, according to Afghan officials. The Defense Ministry said about 200 militants were killed. 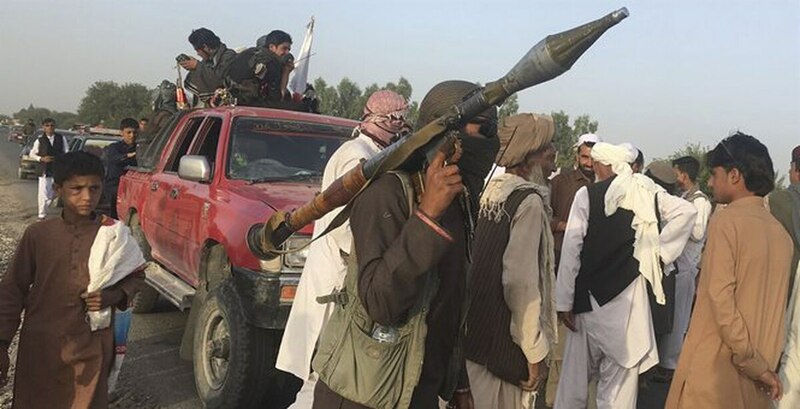 In the latest attack, the Taliban stopped the buses in the Khan Abad district and ordered the passengers to come with them, according to Nasrat Rahimi, deputy spokesman for the Interior Ministry. Afghan forces responded quickly and were able to free 149 people and kill at least seven Taliban fighters, he said. The passengers were all from Takhar and Badakhshan provinces in the north and were on their way to Kabul for this week's Eid al-Adha holiday, according to Abdul Rahman Aqtash, police chief in Takhar province. The ambush came a day after President Ashraf Ghani proposed a holiday cease-fire, saying it would be conditional on the Taliban halting attacks. He suggested extending the truce all the way to Nov. 20, when Muslims will celebrate the birthday of the Prophet Muhammad. 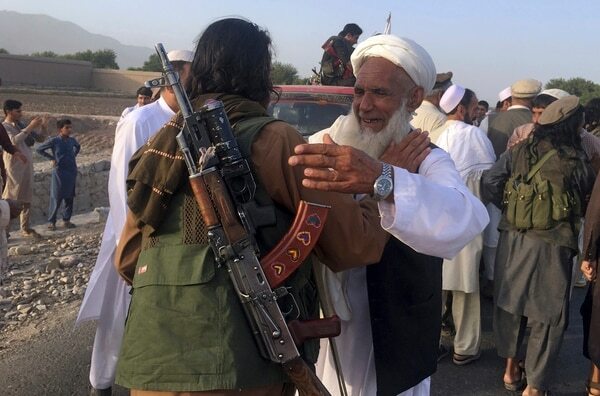 A cease-fire during a major Muslim holiday in June brought a rare respite from the violence in most areas and saw Taliban fighters celebrate in the streets alongside security forces and civilians. But the Taliban rejected a government offer to extend that truce and soon resumed the attacks. The Taliban have yet to respond formally to the latest truce offer. Zabihullah Mujahid, a spokesman for the insurgent group, said it was still discussing it and would announce its decision soon. In a message released Saturday in honor of the upcoming holiday, Taliban leader Maulvi Haibatullah Akhunzadah said there would be no peace in Afghanistan as long as the "foreign occupation" continues and reiterated that the group will only negotiate directly with the United States, which it blames for the 17-year war. The U.S. and NATO officially ended their combat mission at the end of 2014 but have repeatedly come to the aid of Afghan forces in recent years to prevent the Taliban from advancing into major cities. The U.S. has long insisted on an "Afghan-led" peace process between the government and the Taliban but recently has indicated it would be open to direct talks with the insurgents. The Taliban have sent delegations to Uzbekistan and Indonesia in recent weeks, raising their diplomatic profile even while carrying out deadly attacks. The Taliban say they met with a U.S. diplomat in Qatar this month for what the group described as "preliminary" talks, and said it expected further negotiations. In the meantime, the families of those captured Monday said they had little information about their fate. "Unfortunately, some of my relatives are among the kidnapped passengers and we don't have any information about their whereabouts," Hamid Mubarez said. "We just ask the government not to wait, and to try hard to release the rest of the passengers." Mir Ahmed, who lives near where the attack took place, said the Taliban exercise effective control over the district.